Introduction to Art Education. Readings, discussions, observations, and involvement with children and adults in selected meetings. Clinical experience required. Objectives, theory, and practices of teaching grades K-6. (a) Study of developmental stages, emphasis on media and Strategies for implementing activities K-6; (b) Emphasis on Teaching art from elementary art specialist perspective: Developing units of instruction and teaching methodology. Curricular models used in art education; construction of sample art curriculum for given levels. Prerequisite: ART 289 and junior standing or consent of instructor. Teaching methodology for secondary art programs. Reading, Discussion, planning art teaching, Emphasis on studio art and art Appreciation. Clinical experience at selected secondary school. Prerequisite: ART 289 or consent of instructor. (a) Art education for disabled students; (b) Development of motivational and instructional materials; (c) Advanced materials and methods for classroom teachers. Prerequisite: ART 300a, student teaching, or consent of instructor. 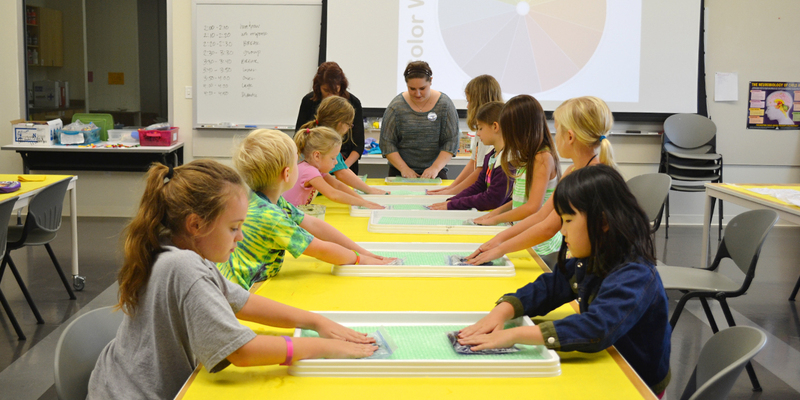 Art Education practices in early childhood art education. Methods and materials based on developmental needs. Prerequisite: ART 300a or consent of instructor. Physical, artistic, and creative development of older adults. Development of specific instructional approaches for older learners.